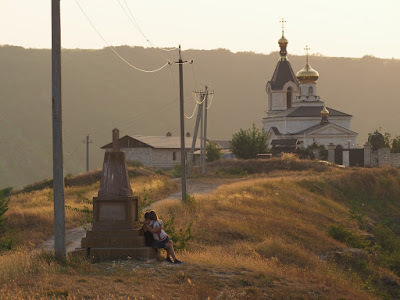 Moldova doesn't have a lot in the way of sights. 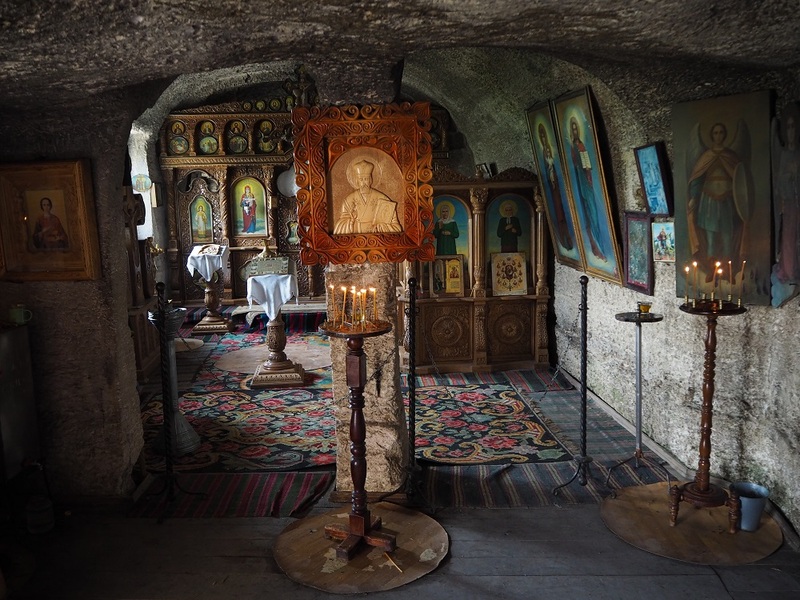 The few must-sees include the sprawling, chaotic market in the capital, Chisinau; the world's biggest wine cellars; and the cave monastery at Orheiul Vechi. 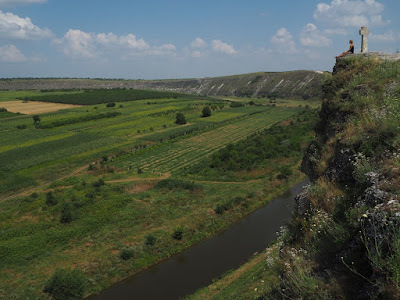 Sometime in the 13th century a band of monks carved a monastery into the cliffs overlooking a river in a remote corner of Moldova. 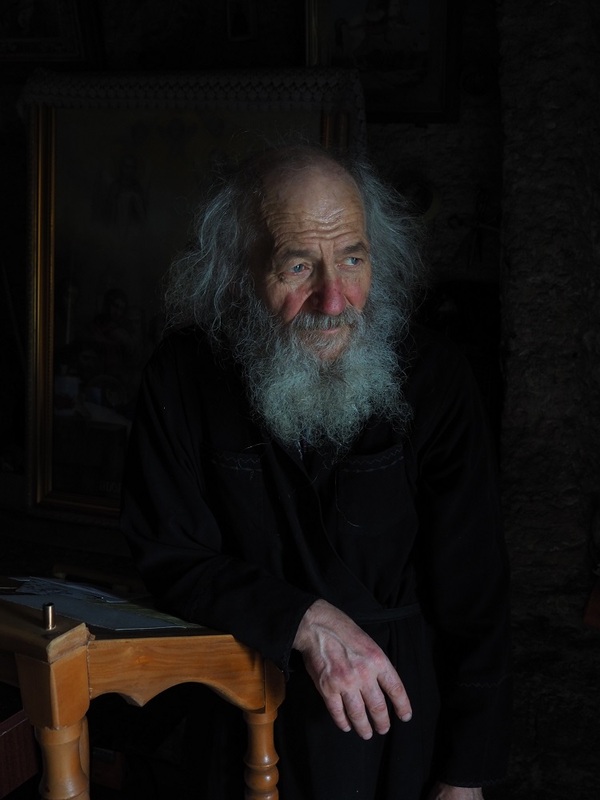 The monks left more than a century ago and the Soviets closed down the nearby church in the 1940s. Now, however, both the church and the underground monastery are in use again. I had a chat to the monk, Brother Ifiemi, who has spent the past 13 years living in the cave and asked him how he survives the winter - he told me he just wraps up more. Brrrr. 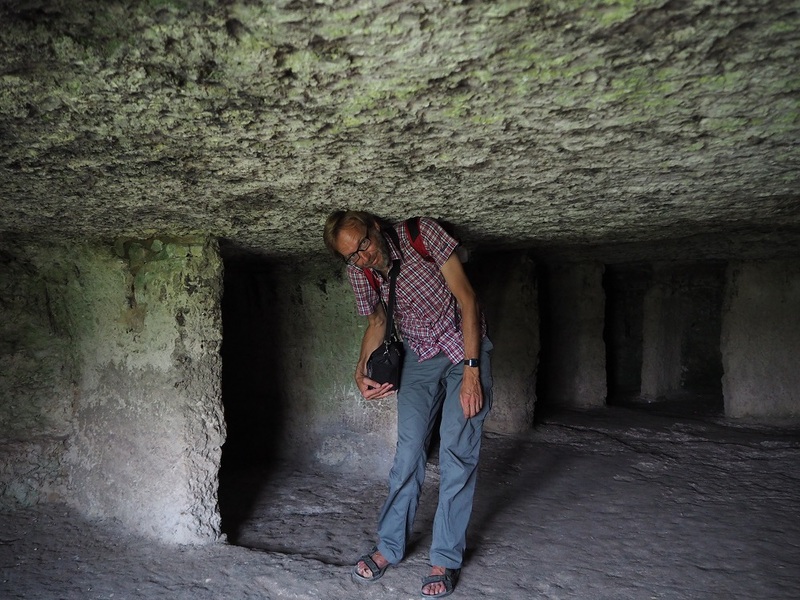 There isn't much headroom in the monks' quarters. A church has been built atop the cliff, above the monastery. The monastery overlooks the River Raut and fertile farmland. The soil here in Moldova is rich and the fruit - especially the peaches and watermelons - is the best I've tasted.